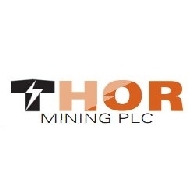 Thor Mining Plc (ASX:THR) is a mineral exploration and development company with an advanced tungsten/molybdenum project poised for development and exciting precious and base metals exploration projects. The Board seeks to increase shareholder value by systematically exploring its resource portfolio. Thor's Directors are experienced in the mineral and finance sectors. They are practised in: evaluating mining assets; raising funds on international capital markets; evaluating acquisition and investment prospects and the day to day management of public companies. 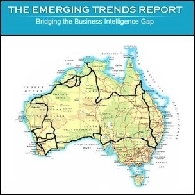 Thor has a portfolio of properties in the Northern Territory of Australia, and in Western Australia. 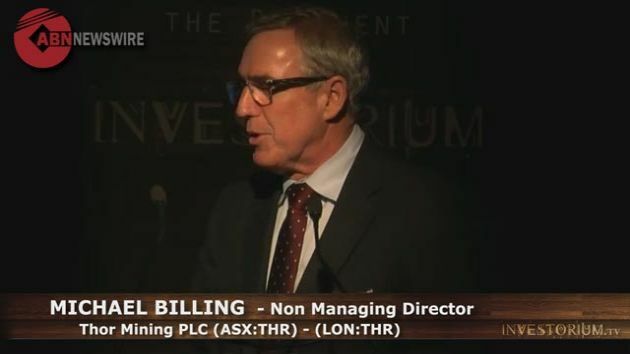 FINANCE VIDEO: Thor Mining (ASX:THR) Executive Chairman Michael Billing presented live to Sydney Capital Markets at Investorium.tv, regarding its advanced tungsten/molybdenum projects and exciting precious and base metals exploration projects. FINANCE VIDEO: Managing Editor of The Emerging Trends Report Richard Karn presented live to the Sydney Capital Markets at Investorium.tv, regarding the emerging rare earths & specialty metal trends. Michael Billing is an accountant with more than 30 years&apos; of mining industry experience in company secretarial, senior commercial, and chief financial officer roles. Previous positions have included periods with Bougainville Copper Ltd, WMC Resources Ltd and Multiplex Mining. 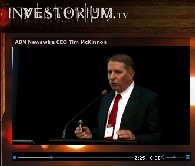 Investorium.tv | Rare Earth and Specialty Metals Live Webcast from the Basement in Sydney December 12. WEBCAST: Minerals rich in Rare Earth elements are key for the development and manufacture of key components in clean energy technologies, automobiles and electronics. They are essential to almost every environmental friendly technology like wind turbines, photovoltaic panels and hybrid motors. 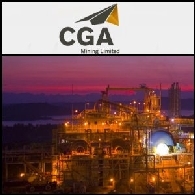 Asian Activities Report for June 28, 2011 includes: CGA Mining Limited (ASX:CGX) (TSE:CGA) is planning to increase the exploration expenditure at the Masbate Gold Project in the Philippines to US$20M in Financial Year 2012; Burey Gold Limited (ASX:BYR) has completed a 2,600-metre drilling program to further test anomalies at Balatindi Prospect in Guinea; Golden Cross Resources Limited (ASX:GCR) announced an upgrade of resource estimates at Copper Hill project in New South Wales; Thor Mining Plc (ASX:THR) is to revise the 2007 Definitive Feasibility Study capital and operating cost estimates for the Company&apos;s Molyhil tungsten and molybdenum project in the Northern Territory. 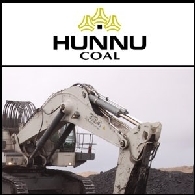 Australian Market Report of March 9, 2011 includes: Hunnu Coal Limited (ASX:HUN) has signed a Strategic Shareholder Agreement and Memorandum of Understanding to form a strategic partnership with Banpu Public Company Limited (BAK:BANPU); Dragon Mining Limited (ASX:DRA) announced that the gold resource inventory for its Nordic gold projects now exceeds 1 million ounces; Eagle Eye Metals Limited (ASX:EYE) has entered into a Memorandum of Understanding to acquire gold projects in Africa; Thor Mining PLC (ASX:THR) has commenced a maiden drilling program at the Dundas Gold Project in Western Australia. Thor Mining Plc Read Corporate: Resources Rising Stars 2007 - Mr John Young, CEO; Thor Mining Plc (ASX: THR) present the following audio webcast regarding "Read Corporate: Resources Rising Stars 2007". You may also download this audio webcast to your computer or portable audio player.